Just How Deep Is Tim Kaine's Connection To Radical Islam? 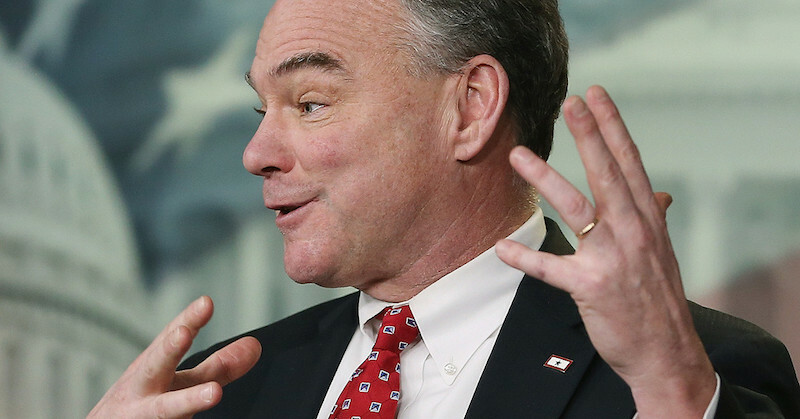 We all know that Democrats have some pretty nefarious political connections … but for Heaven’s sake, why did Hillary have to pick someone with such deep Islamist connections as Tim Kaine? The Virginia senator has a long history of embracing radical Islam. and has received many donations from well-known Islamist groups. Back in 2007, Breitbart reports, then-Governor Kaine chose Muslim American Society (MAS) President Esam Omeish to the state’s Immigration Commission. It was an appointment so controversial that even a Muslim group against radical Islam criticized the appointment and lack of vetting. According to Omeish’s website, he was also President of the National Muslim Students Association and served for two years on the national board of the Islamic Society of North America (ISNA), which the Justice Department also labeled as a U.S. Muslim Brotherhood entity and unindicted co-conspirator in a Hamas-financing trial. Omeish directly expressed extremism before Kaine appointed him. He claimed the Brotherhood is “moderate” and admitted that he and MAS are influenced by the Islamist movement. In 2004, Omeish praised the Hamas spiritual leader as “our beloved Sheikh Ahmed Yassin.” Videotape from 2000 also surfaced where Omeish pledged to help Palestinians who understand “the jihad way is the way to liberate your land” (he denied this was an endorsement of violence). Finally there’s the money … Barzinji’s organization, IIIT, donated $10,000 to an organization, New Dominion PAC, that gave $43,050 to Kaine’s bid for governor between 2003 and 2005. TheNew Dominion PAC– the “voice for Arab Americans in Virginia” – has very strong ties to the Democratic Party in Virginia, with the Virginia Public Access Project tallying almost $257,000 in donations. This likely explains why Barzinji’s grandson served in Governor McAuliffe’s administration and then became the Obama Administration’s liaison to the Muslim-American community. Kaine has no excuse. If he has an Internet connection, then he and his staff should have known about their backgrounds. They were either extremely careless (something Kaine would have in common with the top of the ticket) or knew and looked the other way in the hopes of earning donations and votes.